Montreal, Friday April 5, 2019 – International attention was certainly focused on Ukraine in the run-up to the presidential elections last Sunday on March 31. Otherwise, the war and the ongoing crisis there seem far away. A painful reality for western media. The situation in Ukraine is a worrying one – Edward Kawa talked about how concern for the people in Ukraine is giving him sleepless nights. 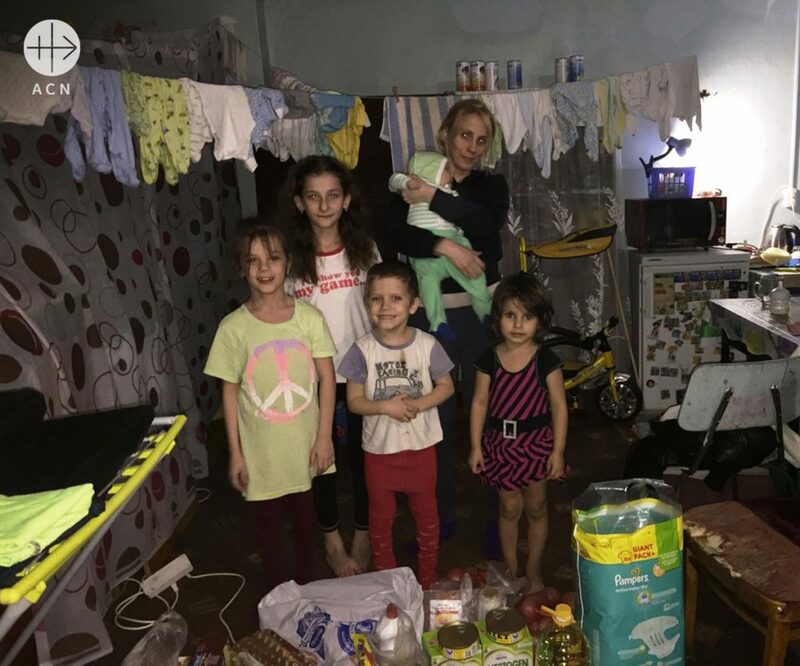 However, in spite of this, the 40-year-old Franciscan Minorite exudes a confidence in the faith that he also tries to pass on to others as part of his work as auxiliary bishop of the West Ukrainian archdiocese of Lemberg/Lviv. In Ukraine, the Roman Catholic Church is a small, but vital minority of approximately one million people. The Greek Catholic Church, which is united with Rome, has about five million members. 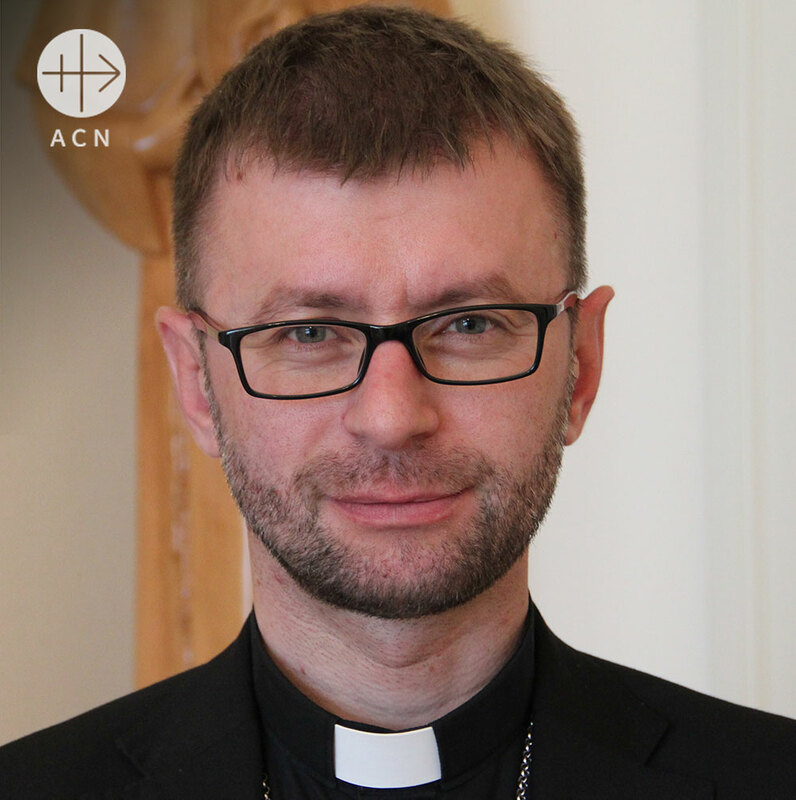 During an event held by the international charity Aid to the Church in Need (ACN) in Cologne, Germany, Tobias Lehner talked with the auxiliary bishop about resignation and new hope, the efforts of the church for the populace and why young people want to remain in Ukraine in spite of the difficulties. The war in eastern Ukraine, which has in the meantime entered its fifth year, is being carried out practically “closed to the public.” Little is reported by the western media. The people in the affected regions around Donetsk and Luhansk are isolated. What do you know about their situation? Everywhere in the Ukraine we can see the signs of help from Aid to the Church in Need that God has given us. This help has enabled our Church to flourish again after communism. We are thankful for every day. We know that this support will also bear fruit in the future. Thanks to the help of Aid to the Church in Need, we have also realized that we in the Ukraine are not isolated. Our Church is like a family: you just have to share everything you have with your siblings.